1. 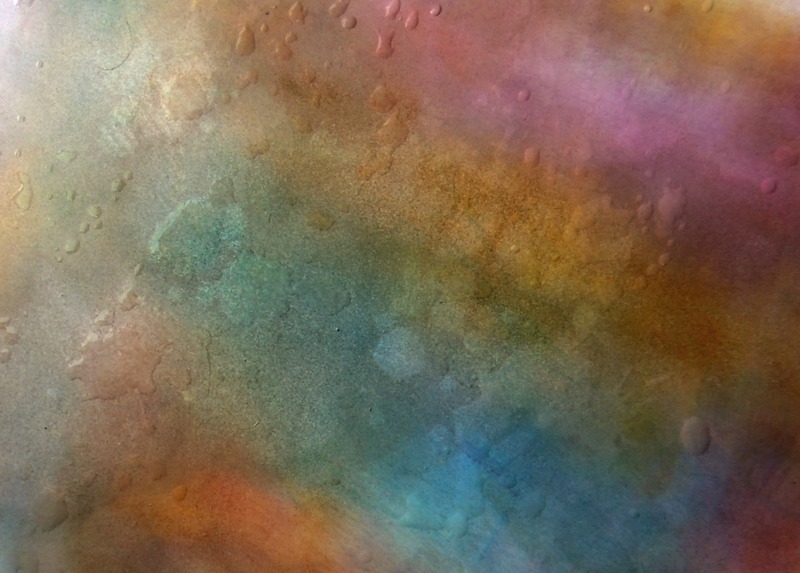 Using InkBlusher sponges apply multiple colors of Memento Luxe ink to a piece of water-color paper. Blend together, allow to dry. Flick water droplets onto the paper, wait 30 seconds, lift off with a paper towel to gain a ghosting effect to add interest. 2. Cut a piece of the colored paper to measure 5” by 5 ½”. 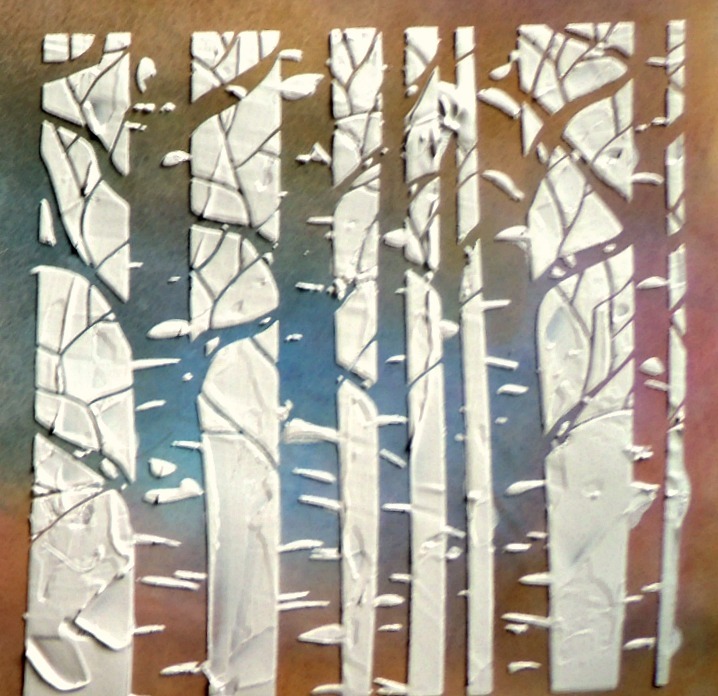 Apply gesso through the Aspen Tree stencil on top of the colored paper. 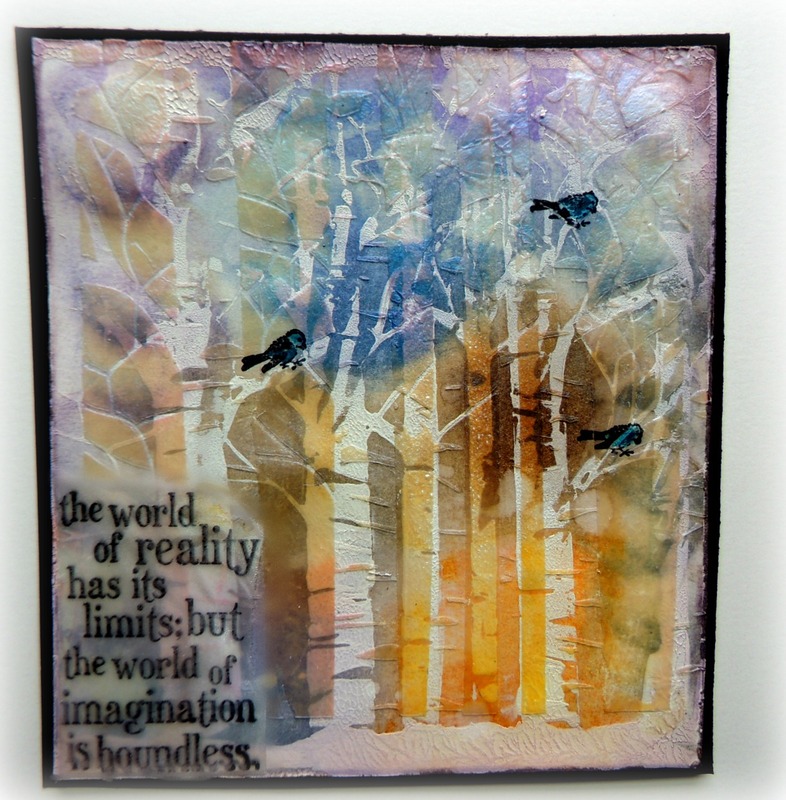 When the gesso is dry place the stencil on top of the gesso just a little bit offset and using a palette knife apply Creative Medium Iridescent Paste. 3. 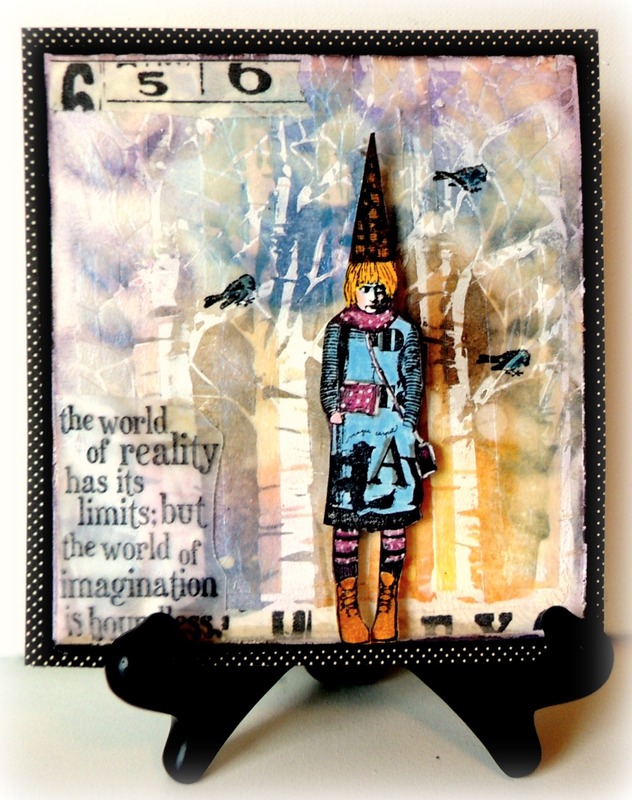 Stamp the phrase on a piece of Vertigo using the StazOn Jet Black ink; trim the Vertigo to match the phrase if desired, glue to the panel with glue dots. Stamp the birds with StazOn Jet Black ink; color them in with Memento Markers. 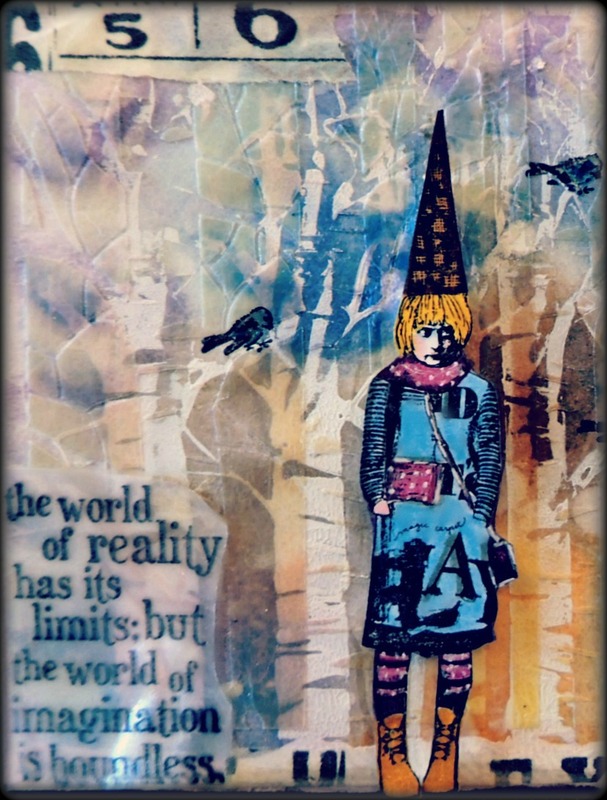 Stamp your image on a piece of card stock with StazOn Jet Black ink then color it in with Memento Markers. After coloring, spritz the image with Sparkle Shimmer Spritz. Trim out the image with scissors. 4. Tear a couple of pieces of tissue tape and place them randomly on the panel. Place the image on the panel using adhesive pop dots. Use glue dots to attach the Vertigo onto the panel. Ink the edges all the way around the panel. 5. Use a strong adhesive to glue the entire panel to some black cardstock, mat the panel onto black polka dot card stock and attach to a blank card.